Westlers canned hotdogs are produced in a wide variety of sizes and are available through quick service retail outlets, such as mobile caterers and small café’s. 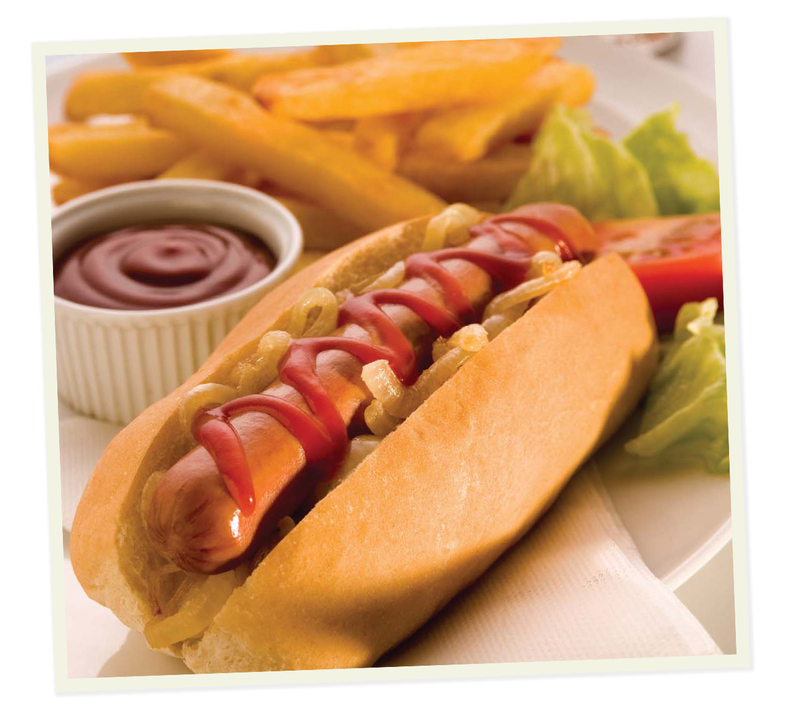 Made to a traditional hotdog recipe the range is designed to provide a great tasting hotdog at an everyday value price point. 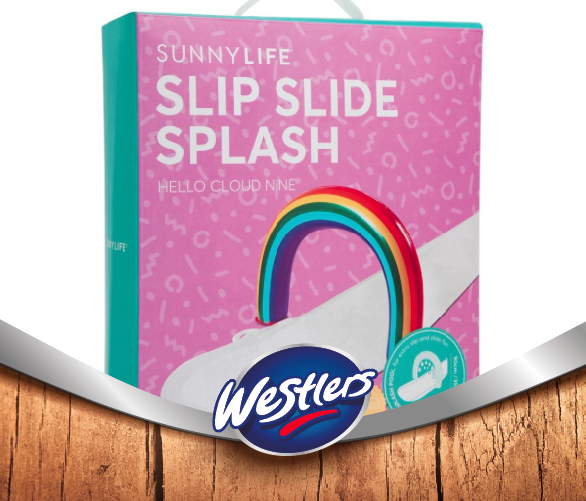 You can try our products at various markets, fairs, shows and cafes around the UK, where we have become the trusted hotdog brand. 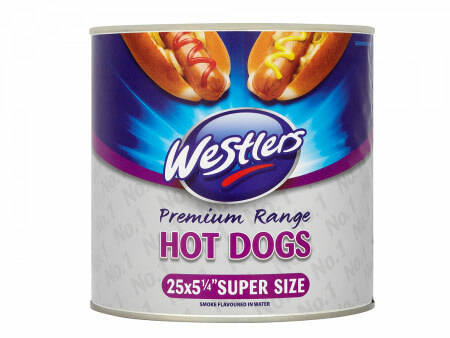 Our premium canned range is designed specifically for the education sector, here we use an enhanced recipe that has reduced levels of salt and fat, in addition to being free from ‘MRM’ (mechanically removed meat), making them the hotdog of choice for schools and colleges around the UK. Look out for Westlers point of sale for your reassurance of quality. 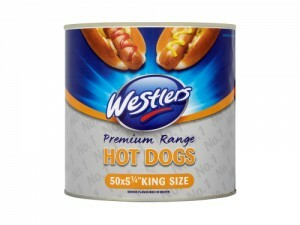 All Westlers hotdogs are pre-cooked and can be stored (unopened) in ambient conditions for up to 36 months. Ideal for larger caterers where portion sizes have to provide great value – it’s no secret the King is one of our most popular lines coming in at 38g this is a great all round snack. 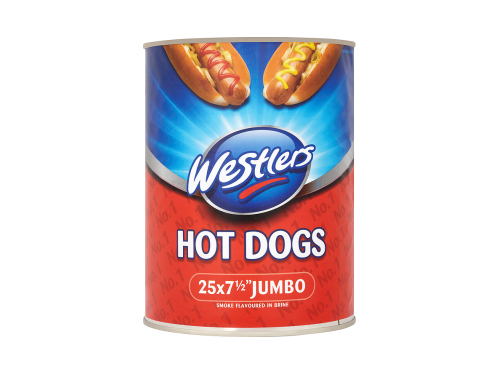 Ideal for hungry appetites this mid tier hotdog weighs in at 76g, which makes it a great contender for a satisfying single snack or meal centre. 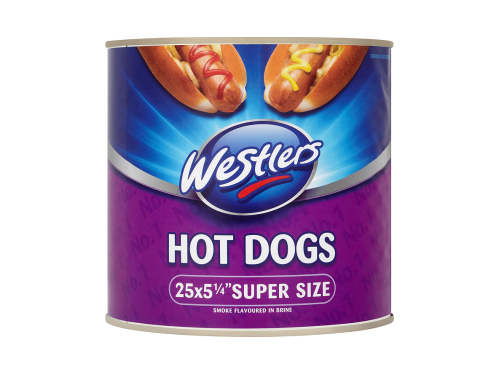 This is the our largest canned hotdog and is designed for big appetites, coming in at 104g per Hotdog, this is a big eat – ideal for adults and hungry teens. 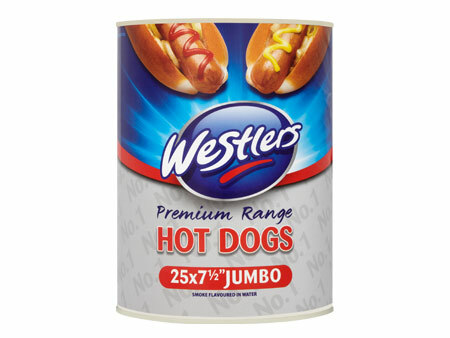 This is the ideal mini hotdog for youngsters, designed to provide a quick snack, to satisfy cravings, with a great texture and all lightly smoked flavour. Ideal for larger caterers where portion sizes have to provide great value – it’s no secret the King is one of our most popular lines coming in at 38g this is a great all round snack sausage. This is a great all rounder for schools and won’t look out of place in pasta, wraps or in a bun. Packed in 50’s for larger footfall sites. 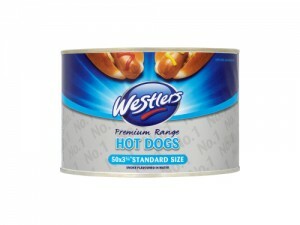 This is the ideal mini hotdog for youngsters, designed to be a satisfying centre plate for primary school menus. Ideal for larger caterers where portion sizes have to provide great value – it’s no secret the King is one of our most popular lines coming in at 38g this is a great all round snack sausage. This is a great all rounder for schools and won’t look out of place in pasta, wraps or in a bun. Packed in 20’s for reduced footfall sites. 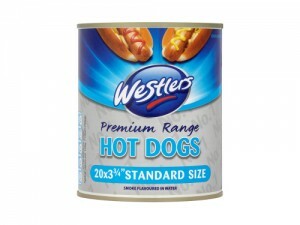 This is the ideal mini hotdog for youngsters, designed to be a satisfying centre plate for primary schools. Packed in 50’s for larger footfall sites. 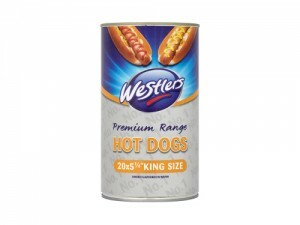 Ideal for hungry appetites this mid tier hotdog weighs in at 76g for a satisfying eat, on it’s own or in a range of dishes, ideal for secondary schools. 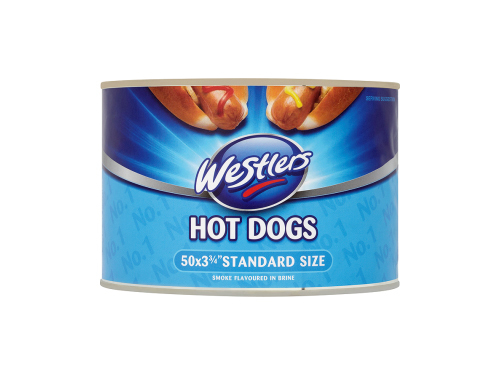 This is the our largest canned hotdog coming in at 104g per Hot dog, this is a satisfying eat with is ideal for hungry teens. 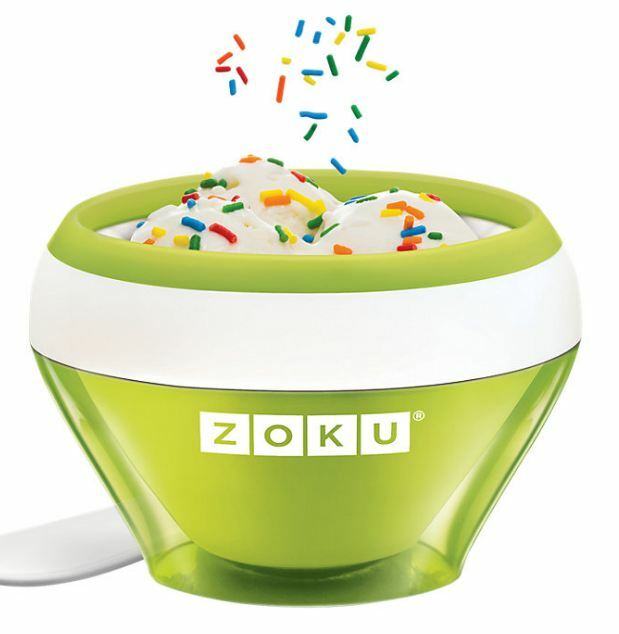 Serve on its own or with a variety of toppings such as chilli, curry or peri peri. 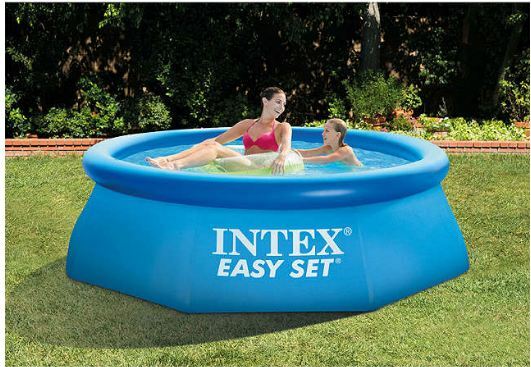 The perfect big serve solution for further education colleges.